Mum guilt is a very real emotion that I experience of a daily, hell, hourly basis. I am all too aware of how precious my maternity leave is and how we are already five months in and yet I feel like we haven’t achieved much at all. Some days it’s a battle to even leave the house. On those days I feel so much guilt that I am letting my son down. On some very rare days, Dexter is inconsolable. He had one of these days just this week. I tried all teething solutions available to me: nothing. I tried cuddles. Nothing. Playing? No. Nappy changes, rocking, singing, TV, high chair, a walk, food, I tried it all. Nothing could console him. By the end of the day he wasn’t the only one who was inconsolable. I felt immense guilt that I had let him down. Aren’t mothers supposed to just know what their babies need and provide it? And I had failed. Sometimes I need to put Dexter on his playmat while I tackle the ever growing pile of ironing. I try to talk to him and sing songs but invariably I get lost in my thoughts- what else do I need to do? What shall I make for tea? Hasn’t somebody got a birthday coming up that I need to sort a present for? Later I feel guilty that I spent ten minutes not talking to Dex and leaving him to his toys. Occasionally I am tired. Maybe Dexter woke up for a night feed or my husband was up in the night. I want to just chill and watch TV but mum guilt holds me back. I need to get up and stimulate my child. I should be reading to him, playing with him or taking him out. I feel guilty everyday that soon I will be going back to work and then I won’t see my son as much. I worry I don’t make the most out of everyday and feel terrible for moaning about the bad days. I have been given a wonderful opportunity to take 12 months off work, why am I wasting it? I worry I spend too much time on my phone. How many times as a newborn did I put Dexter in his Moses crib so I could sit down with my phone and a cuppa. I am the most selfish mother ever aren’t I? But I’m really not. And neither are you. I don’t know why we must feel this mum guilt so intensely but I fear social media is to blame in some respect. I pop onto my Instagram feed and see all my friends posting about the wonderful things they have done with their babies. I post similar pictures. What we don’t post is the pictures of us getting chores done while baby entertains himself with a toy because that’s not the perception we want to show to the world. We want to show the world we have this mummy thing under control. That we are the best mum. We all know it’s a lie but we still buy into it anyway. It’s crazy how social media can manipulate us in that way. How to get over the mum guilt? I am still working on it, but pictures like the one above help. Remembering how happy my baby is when I’ve been away from him for a little while and he sees me again. His smiling face when he wakes up from naps, his giggles when we play games, his sleepy hugs when I feed him at night. 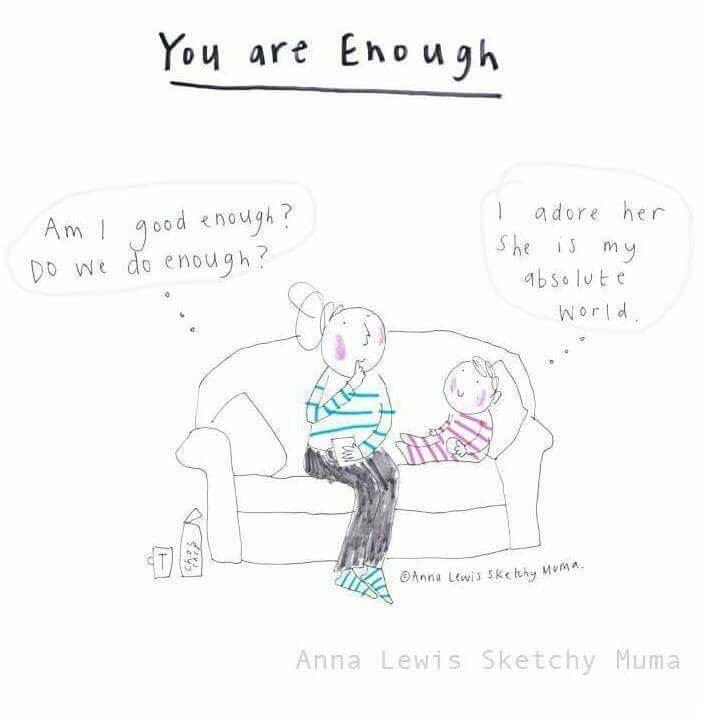 As mums we can’t expect ourselves to ‘mum’ 24 hours a day 7 days a week. We are allowed a bit of time to be us again, even if that does mean leaving the baby to play independently at times. We can only do our best and our best is usually everything and more to our babies. Thank you Mary. That means a lot. Thanks for reading.